Universal Pictures have released a new trailer for their upcoming James Brown biopic, Get On Up. The clip premiered on Yahoo earlier today, but you can now watch the footage right here on UTG. 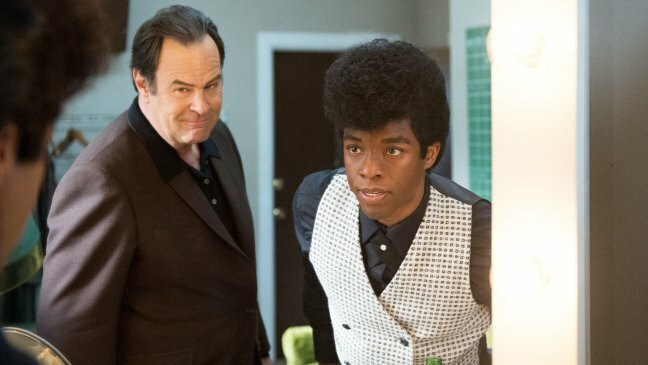 42 lead Chadwick Boseman stars as the Godfather of Soul in this summer’s funkiest drama, with Dan Aykroyd, Viola Davis, Octavia Spencer, and other notable names rounding out the supporting cast. The film’s plot follows the rise of James Brown and the troubles he found once he finally achieved his dreams of becoming a world famous musician, all told under the keen supervision of director Tate Taylor (The Help). We saw a few glimpses of the film at the very beginning of the year, but here we are given a much greater look at the story and colorful world in which it will be told. You can view the trailer below.